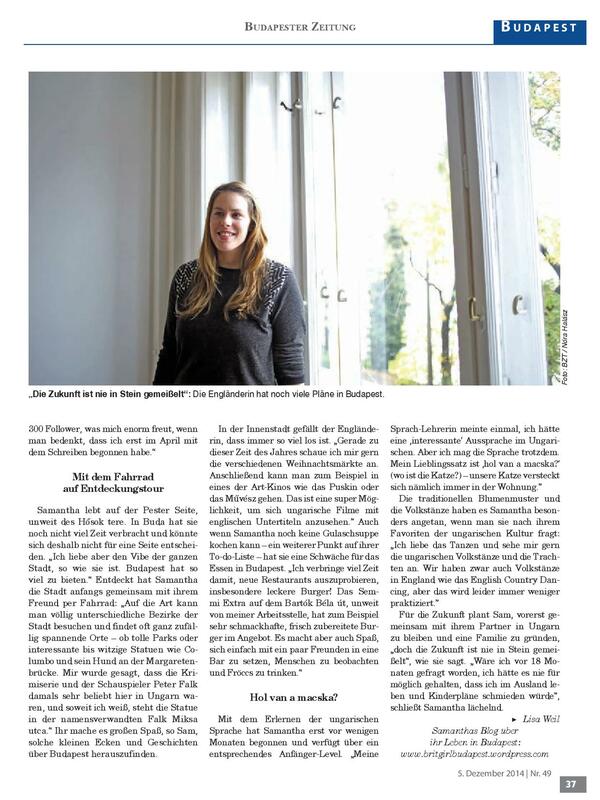 This week I was luckily enough to be interviewed by Lisa Weil @ the Budapest Zeitung. This is a German Language newspaper based here in Budapest. The article is entitled mien Budapest (My Budapest) So the Articles in German, so as soon as i have a translation I’ll add here. 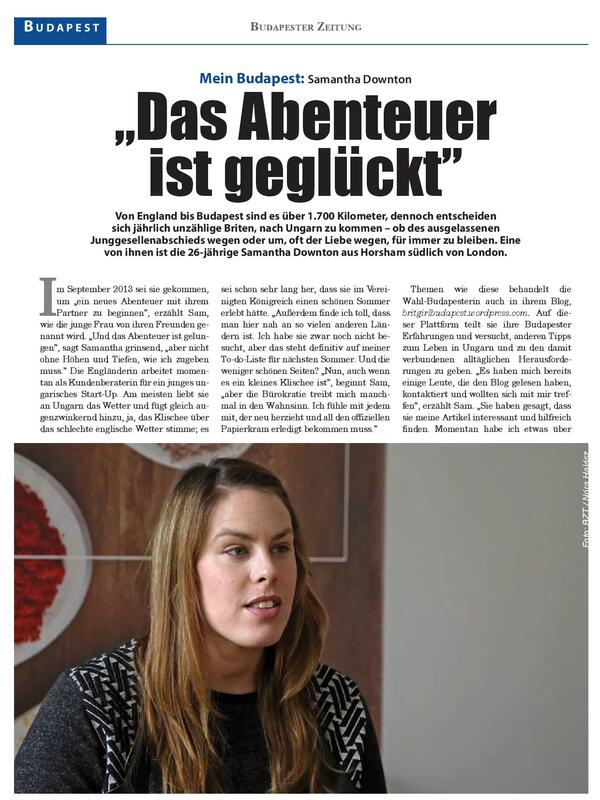 But the article basically about my last year in Budapest, How I’ve found living here, what I do in my spare time. And of course I had to plug the blog!